Community is the television show that refuses to die. It’s one of those unique series that developed a cult following fast, a considerable amount of critical acclaim, and ratings not worth bragging about when it aired on NBC from 2009 until its cancellation last year after five seasons. Shortly after getting the axe, Community was picked up for a sixth season by Yahoo! Screen* and the first two episodes dropped in the past 48 hours, to stream online, for free. It’s easy to be sceptical about the prospect of the new online only presence of Community; who uses Yahoo!? Free seems too good to be true? And, what kind of Community are we going to get? The track record of Community is rocky but the on-and-off guiding hand of creator Dan Harmon has been the saving grace of the series. Community’s first season is a flawless debut from start to finish, an explosion of pop culture references, oddball characters, and a witty deconstruction of film and television clichés. As a result, the second season suffered from living up to the greatness of the first; it’s rare for strong starters to follow up with a solid second season. The third season maintained the same quality as the second and then Harmon was fired from the show. The Harmon-less fourth season isn’t worth mentioning, but when he was re-hired for the fifth season the show blasted back to the high standard of the first season by doing a semi-reboot and themed episodes featuring a parody of David Fincher films, a G.I Joe animated throwback, and a Mad Max inspired game of ‘the floor is lava’. So what’s the shape of season six? After the first two episodes, Ladders and Lawnmower Maintenance and Postnatal Care, it seems like Harmon has managed to maintain the momentum of season five. The cast is down to the core group of Jeff (Joel McHale), Britta (Gillian Jacobs), Abed (Danny Pudi), Annie (Alison Brie), Dean Pelton (Jim Rash) and Chang (Ken Jeong). There’s an excellent joke about Shirley (Yvette Nicole Brown has left the show) ‘spinning off’ to explain her absence in Ladders, and Keith David’s Elroy Patashnik looks to be the replacement for the older study group member (Chevy Chase and Jonathan Banks filled the chair previously). Minor characters like Garrett and Leonard are still walking the halls of Greendale Community College, and the campus continues to be full of oddball behaviour. Ladders is a statement about the running theme of Community to ‘keep Greendale weird’. It’s obvious Harmon is showing there’s freedom to the show’s new home online as opposed to the corporate wrangling of mainstream television. In Ladders, Francesca "Frankie" Dart (Paget Brewster) is hired by the Dean to help improve Greendale after a freak roof Frisbee accident. Frankie is trying to make Greendale ‘normal’ in the same way I imagine Harmon faced pressure from his old bosses to make Community more accessible like its popular but generic rival Big Bang Theory. Weird wins as the study group bends Frankie to the lunacy of life at Greendale. Ladders does a lot of hard work to establish the slimmed down core group, address their new existence in a variety of meta ways, and pull off set piece gags that wouldn’t have made the cut on NBC. The new runtime is around 28 minutes as opposed to the average 20 minutes of previous seasons. Shirley’s spinoff tag The Butcher and the Baker, and the trailer for Portuguese Gremlins at the end of Lawnmower Maintenance and Postnatal Care prove the benefits of breathing space. Of the two new episodes, Lawnmower Maintenance and Postnatal Care is more like a traditional episode without the statement baggage. The plot is split between the Dean’s obsession over an expensive, low-tech virtual reality (VR) system and the reveal that Britta’s parents (ace cameos from Martin Mull and Lesley Ann Warren for Clue fans) have been secretly funding her lifestyle. The Britta storyline showed off how great Jacobs can be when she’s allowed to go wild with the character; a far cry from the romantic interest trappings of the early seasons. The VR element brilliantly deployed the Dean (Rash continues to Community’s most valued player) in one big Lawnmower Man joke complete with the counterintuitive nature of VR in the 90s (look out for the reference to the VR device in Disclosure). 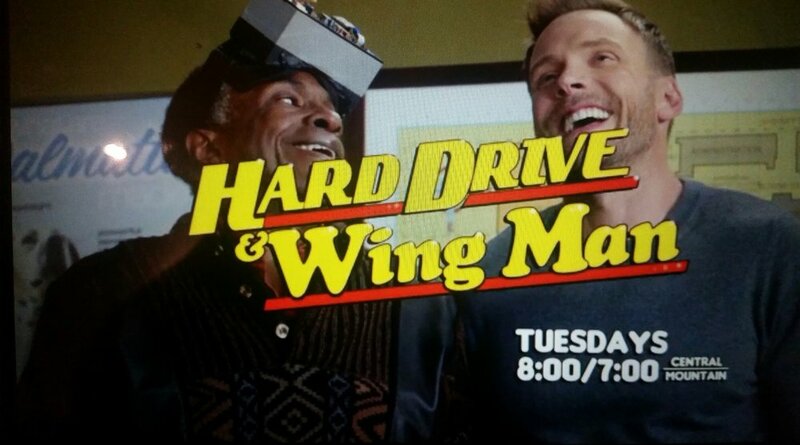 The introduction of David’s VR designer Elroy Patashnik is a great addition to the Community, complete with another meta-reference to a show within a show called Hard Drive and Wing Man. The surprising thing about the age of Yahoo for Community is how the look and feel of the series has remained intact in the transition from television to exclusively online. The sixth season had the potential to be a cheap knockoff of Community but it seems like Yahoo has properly invested in the production to deliver something worth watching. Hard-core fans will notice a few ragged edges with sets looking a little different due to a shift in studios where they shoot the show. We now live in an era when where online streaming and on demand services are stepping in to be the saviour of television shows that get shafted by mainstream networks. The excellent Unbreakable Kimmy Schmidt was rescued by Netflix after NBC passed on the series and the new season of Community looks to be slotting into the same category based off the first impression of Ladders and Lawnmower Maintenance and Postnatal Care. Online and streaming on demand services are allowing shows to be given the creative freedom they deserve and it’s exciting to see the different types of experimentation happening. Don’t write off Community just yet. *Yahoo! Screen is only available in the United States, Taiwan, Hong Kong, Singapore, Malaysia, and Indonesia. In Australia season six of Community is only available via the stream on demand service Stan.